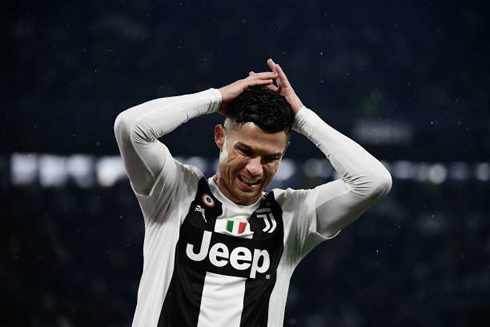 Juventus were looking to get back on the horse following the cup elimination in midweek but they've failed to do so tonight, despite Cristiano Ronaldo's goals and assist. The Portuguese scored twice in a surprising 3-3 draw against Parma. 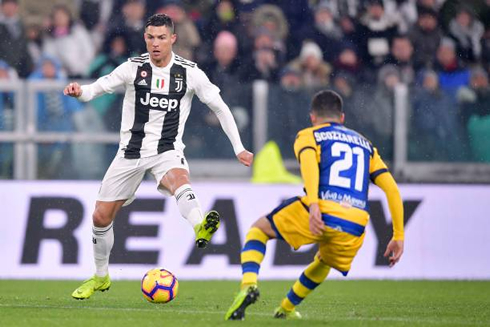 Juventus weren't able to bounce back from a shocking elimination in the middle of the week at the hands of Atalanta, as they hosted and drew 3-3 with Parma at the Allianz Stadium. Just like in many other games this season, the Bianconeri had their opponent controlled in the vast majority of the time, but ended up allowing them to get back in the game and eventually score the equaliser near the end. Cristiano Ronaldo returned to the top of the Serie A goalscoring standings, after scoring a brace tonight and assisting a teammate for the team's second goal. It's the third draw Juventus concedes in the Italian league this season and with 16 games left in the competition, Napoli are now 9 points below on the top of the table. It was important to get back on track after what happened last Wednesday against Atalanta, but the Italian champions couldn't go beyond a 3-3 draw that allows Napoli to keep dreaming with the Serie A title. More important that the 2 points dropped tonight is the fact that Juventus conceded 6 goals in their last 2 games (cup and league), when they had only conceded 12 goals in their previous 21 games in the Serie A. With Chiellini and Bonucci out of the picture due to injury, there's no way to hide anymore that this Juventus' defence goes from great to horrible. After witnessing what Atalanta did to his pupils a few days ago, Allegri still tried to change a couple things at the back by bringing Cáceres to the center of defense and playing Spinazzola on the left, but the truth is that those changes didn't improve much the way the Bianconeri defended. The Portuguese forward not only scored twice tonight, as he also assisted his teammate Rugani for a goal in the second half. Ronaldo has now 17 goals in 22 appearances in the Serie A and leads the charts to become the Capocannoniere at the end of the season. He may not have scored a hat-trick yet, but his double tonight was already his fourth in the Serie A this season. Still in reach is Chelsea's Higuain36-goal record set in 2015-16 when the Argentine forward played for Napoli, but Ronaldo needs to score at least 20 goals in the next 16 league games in order to beat it. 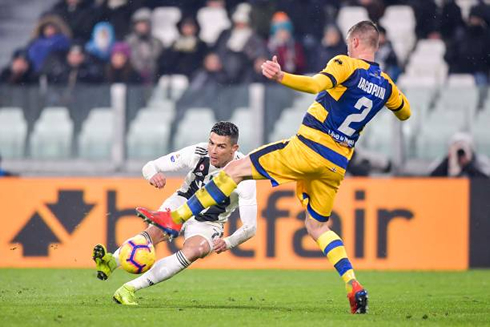 In tonight's game, Ronaldo broke the deadlock in the 36th minute even though he slipped while he was shooting and then assisted Rugani for the hosts' second goal. At the time, many of us believed that Parma was done for the night, but the visitors reacted well and reduced to 2-1 just a couple minutes after Rugani's goal. 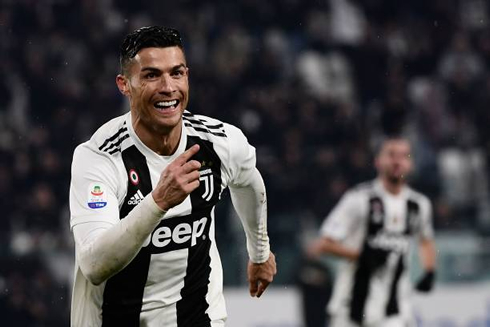 Ronaldo then restored the 2-goal in a great header around the 66th minute, but Parma refused to give up and managed once again to get back in the game by cutting the lead to a single goal with 15 minutes still left to be played. The shocking equaliser happened in the third minute of added time, when the former Arsenal player, Gervinho, scored his second goal on the night. Too much complacency resulted in yet another goal conceded from the Old Lady and this time the hosts didn't have enough time to react and repair the damage. Attackers: Douglas Costa, Cristiano Ronaldo, Mandzukic.